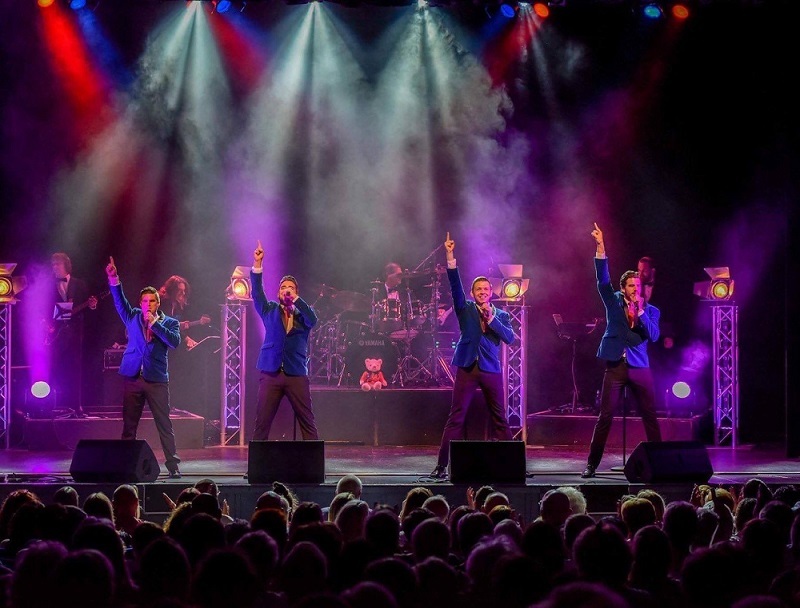 We caught up with Potters Theatre Company's very own David Griego to talk all about the phenomenal success of Frankie's Guys, who've come out of the shadows from a humble beginning to become widely recognised as the UK's number one celebration of Rock and Roll Hall of Fame group, Frankie Valli & The Four Seasons. The show holds a very special place in the heart of Potters and the Resort's regular guests as 'Frankie's Guys' was a concept originally developed right here on Resort as a short production designed to provide even more entertainment for guests once the main PTC shows had finished. > So how did you first come up with the idea for Frankie's Guys? "The idea came about from a strong belief that Potters Guests would love it! 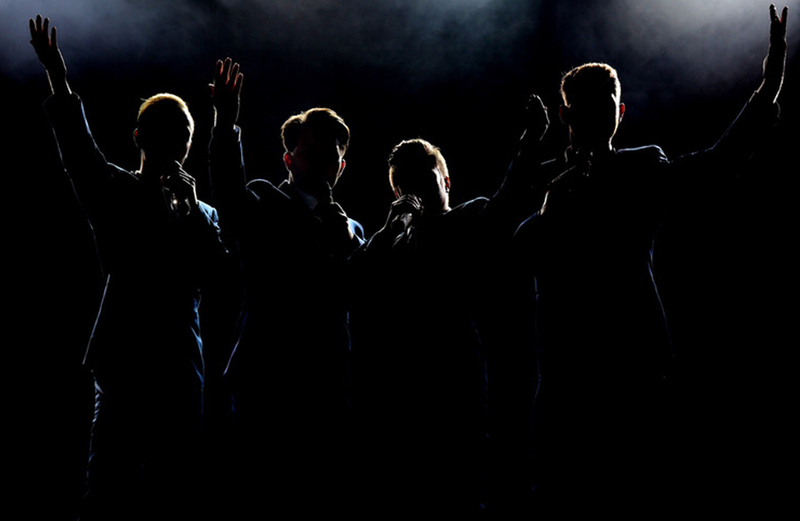 After the huge success of Jersey Boys (the Broadway musical created in the early 2000s by original member of The Four Seasons, Bob Gaudio) and the incredible back catalogue of music from the band, and the era, to me it was a no-brainer from the beginning. Our guests also love a good dance and at the time we didn’t really have any shows you could dance to, so Frankie’s Guys really did pave the way." > We heard that Frankie's Guys have been globetrotting, so how has the show developed further since those early days? 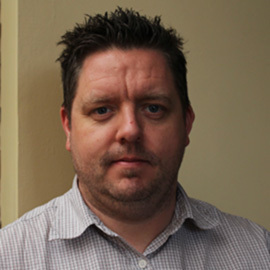 "Well, over the last few short years the success we've had has been quite unbelievable. It feels like we really have done it all, from performing all over the world in 2016, getting to see places like Rio in Brazil, Australia and South Africa, to 2017 when we starred in our very own UK theatre tour. That saw us perform to literally thousands of people up and down the country, and we've also performed variations of the show at weddings, galas, birthday parties, well just about anywhere to be honest! Every show is different and we love it like that." > Wow! So with all that going on, when on earth do you fit in time to rehearse? "We take a huge pride in Frankie’s Guys being the number one celebration of The Four Seasons and with that comes a large amount of pressure to ensure the show is immaculate, so we rehearse all the time. Actually we rehearse before every single performance, from vocals to choreography, everything must be perfect." > Has there been one show that has really stood out for you as your most exciting? "Mmmm, that's a tough question... but we were asked to perform for the incredible and well-known charity, the Grand Order of Water Rats, at their annual ball held at The Grosvenor Hotel in London. The guest list included some well-known celebs like Ruth Langsford and Eamonn Holmes, Al Murray and the Hairy Bikers, to name just a few! It was a very glam event with many influential people in entertainment and TV involved. I have to admit I was pretty nervous. And if that wasn’t enough, moments before the show I received a text from none other than John Potter that said he was in the audience! John actually sent me a lovely message after we had performed which said he was very proud of how the show has done in general and complimented us on how well the show had been received by the 500-strong audience at the ball." > We saw that you even got on stage yourself for that show! Is performing your favourite part of being involved with the group and the shows? "I love so many things about being a part of Frankie’s Guys, but watching how much the show has achieved since it's very humble beginnings at Potters gives me the biggest amount of pleasure. I still love performing, but with all of the new and exciting projects I have on the horizon, performing is no longer a daily part of my life, these days you’re more likely to find me behind my computer, producing or designing a new show. That said, I always take pride in performing as part of the line-up for our one night specials at Potters, we look at them like our homecoming shows!" > So how would you describe the relationship between Frankie's Guys and Potters Resort? "As I said, Potters is - and always will be - the home of Frankie’s Guys. It still amazes me that, whenever I am around the Resort, how many people come over and say hi, and let me know they follow us on Facebook and how proud they are of how well the show has done. We genuinely owe Potters and its amazing guests the biggest amount of gratitude. I would like to say a huge, sincere and heart-felt 'thank-you' to all of the people who have bought tickets, followed our progress and wished us well over the last few years, and of course to Potters Resort, John Potter and Nigel Pattle (Entertainment Director) for all of their continued support, it means the world." > What does the future hold for Frankie's Guys? "We have so much planned for Frankie’s Guys... it’s so exciting! And the guys can’t wait for our Frankie’s Guys One Night Break at Potters on Sunday 31st March 2019. We're hoping to see so many of our wonderful loyal fans there! 'OH WHAT A NIGHT' it will be!"